Something new on the way? Continuing its recent trend of vaguely hinting at things to come, the official Bravely Default Twitter account has once again teased upcoming games in the series. You may remember that, just last week, Square Enix celebrated the news that Octopath Traveler had shipped one million copies worldwide with a custom piece of artwork. This latest tweet from Square Enix's Bravely Default account mentions this once again, with a new piece of artwork that directly references and mirrors the Octopath celebration. It's a lovely little touch, we're sure you'll agree. 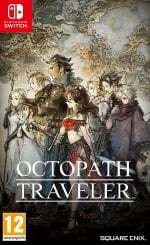 "We've already announced it, but...Octopath Traveler, 1 million units shipped! Thank you! Now, now... Please look forward to the next Square-Enix 11 BD games m_ _m!" Does this mean that a new game - or games - is on the way soon? It's too early to tell for sure, but it's certainly a promising sign. As for the name change, could the next game have five letters in the title? We'll leave that one to you to ponder over. 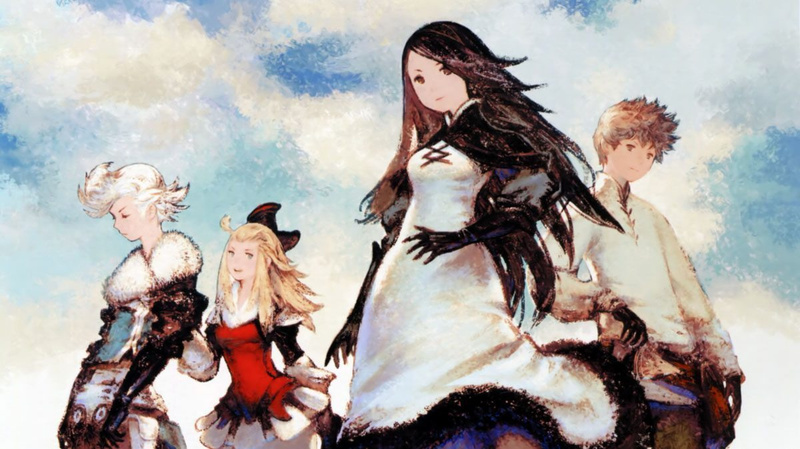 Would you like to see a new Bravely Default game? Let us know your hopes for the series in the comments below. We need more immersive games for the Switch that aren't in the 2D style or side-scrollers. A new, full Final Fantasy game that takes up all the space on a 64GB cartridge. I really need to get to Bravely Second already. Loved the first game, bought the second ages ago, have yet to get in the mood to actually play it. Bravely (5 letter word, previous game was called Second). @MichaelHarvey Don't you mean SHOULD take up all the space on a 64GB cart as opposed to 8 GB cart and the rest as a download? @MichaelHarvey I can already see them selling it for €20/30 extra because of cartridge cost. Nintendo should make all them cheaper btw, Sony sold the PS3 also with a loss because as long as games sell the investment comes back. That aside even then I would buy such game, no matter physical or digital. That's a definite.. I read somewhere that LA Noire cost $10 more on Switch than the PS4/XB1 because of the Nintendo game card pricing. Even with the Nintendo Tax, I still think I would buy it on the Switch because it's such a unique console experience on-the-go, that suits my lifestyle. @the_beaver I like smash but they focus too much on it this year. Bravely Third on switch would be nice, and wouldn't mind the first two games being ported as well. Really feel like re-playing them but I'm done with my 3ds, want it on the big screen with a normal controller. Come on Bravely Third (hopefully for the 3ds since I don't own a switch). That fairy creature had a mighty schnoz there, judging by the shadow. Almost like a humanoid butterfly. Still have to finish Second. I loved the first but the second has proven a little harder to get invested. Also don’t like the side quests where you have to choose. That may have turned me off as I always stopped playing in the middle of one. I do hope its a new game and not rereleases. Remakes can be good and all but its not like the other two are hard to get or in need of a spruce up. An all new game would be nice. Maybe a port of two first games to Switch. I’m fine with it, because I always wondered how these games look like on a better screen. Octopath Traveler success is a good news for reviving classic jrpgs on Switch and that’s what I’m expecting from my Switch. If I wanted a photorealistic FF game I shall play that on my PS4 pro and not on a device that does not designed to run these kind of games. As a famous british philosopher said “everything is what it is and nothing is gained by conceptual confusions”. If you want a photorealistic open world game you have choosen the wrong device. I've been meaning to get Bravely Default but I just don't love my 3DS. I"d absolutely buy it on the Switch though. New game please, no ports unless offered as a bundle at similar price point to remasters on PS4 ie. £20. I am totally down for that! @MichaelHarvey this series is chibi 3d like Pokemon x and y or lets go so I think it is going to be bravery 3rd and we got that direct on Wednesday and it does not say it is only about smash. The second one was harder for me to get into than I would have liked. I was initially very disappointed in it. Early 2015 was just let down city for me with games. Bravely Second and Fire Emblem Fates were two hugely anticipated games for me and neither lived up to my own internalized hype. After a long time away from it I gave it another go, got past the part that had irked me initially and ended up thoroughly enjoying the game about as much as I loved the first one. FE Fates is still nowhere near as good as Awakening or Echoes. I'm surprised to see so many people saying they're done with their 3DS. There are still so many games on the 3DS that I'm looking forward to playing or replaying. I'm constantly wanting Switch ports of Wii-U games so I can eventually get rid of the Wii-U (basically only keeping it for the Zelda games at this point) but I feel no similar need to replace my 3DS. @the_beaver It is just Smash. The Smash directs on Wii U and 3DS had Smash and nothing else. That isn't going to change anytime soon. The Bravely Default games could scale up very nicely to the Switch, assuming Square have higher resolution background textures to hand. They don't look terrible even at their current low resolution when played on an emulator (google Bravely Default 1080p). That's genius how the shadow of the Octopath artwork looks like a fairy! Always wanted to get the 3ds duo, but would far prefer HD Switch ports. Yeah dump the 3ds and port the games ro switch. Ha, a Resetera user actually called the similarity of the Octopath 1-million artiwork to Airy's shadow right away. That's pretty neat. I'd love a Bravely Third, but they'd 100% have to move to a new setting. All the reused locations in Bravely Second destroyed that game for me, especially after all the repetition in the end of BD. Oh la vache! Please make Bravely Third for the Switch. I haven't played the first 2 games so I hope the new project is not a direct sequel of any sorts. I got really fast into Bravely Second and the nice thing is that it starts almost where the first title left... and untill now it it really lovely. Whatever it is, I hope it's for Switch. I've been absolutely loving Octopath. It's the first JRPG I've ever got into and I want more. If they call it Bravely Third, but it's actually just replaying Bravely Default all over again as a series of boss battles.....does that count as a true sequel? Or is it a prequel? Now that Octopath exists I have pretty much zero hype for Bravely Default. The whole layout of the game is very shallow and bare bones to me. Grind all the jobs non-stop, then do strings of boss battles. Progression felt very stilted in the series with a weird pacing of small environments punctuated with frequent bosses. Octopath fixes everything that is wrong with Bravely Default. The characters were so great though! Anyway, I can't wait to find out more! Personally, I think they should release a trilogy along with a third game. I mean the Bravely stories closely tie together and I don't think the Switch audience consists of the same people who played these games on 3DS, so they should kind of reboot the series on the Switch as I think the Switch audience who take a liking to JRPGs will really love a game like Bravely Default. The characters and side characters in conjunction with the voice acting truly make the game an unforgettable experience, as the actors are really enthusiastic in their role and the dialogue, although arguably a bit wordy, all feels necessary. @bratzdoll Without giving too much away, the second game pretty much stands alone even though it's a sequel to the first. It stands alone so much that you really don't need to play the first one. The first one basically explains how the world works and is an encyclopedia of knowledge while the second is where the story really begins... Kind of like Season 1 of Game of Thrones. I had issues getting into BD because I just don't like the chibi sprite looking style. I own both games sadly and just was having issues getting into it. Give me classic sprites and i'm much happier . Bravely Third for Switch, please. I beat Bravely Default at 100% completion, which is something I haven't done in ages. Never got around to buying Bravely Second, so I'm kind of hoping there's a re-release on the Switch. Though that being said, I would play this game with the 3D all the way up, so I would actually miss the 3D gimmick if they ported it. The Bravely games were always on my wish list for 3DS that I just never got around to getting. I'd really prefer to have HD Switch versions, though, so I'm hoping if there's a 3rd one coming they re-release the first 2 on Switch as well. I wouldn't mind it if they ported both of the Bravely Default games to the Switch, they would look more than competent with the hd treatment. Port the first 2 in a combo (namely cause the second never appeared here) and give me a third. Loved the first one, didnt like the second one. Dont know wether Ill be interested in the third one.. Yes bring in Bravely Tres, the first two were great however an HD remastered of the first two for the Switch would had been nice too. Bravely Default: Flying Fairy remastered, please. And then, Bravely Second: End Layer remastered. And then, some Bravely Third would be awesome. Bravely Third with the Octopath engine would be a dream come true..
On another note, if 1 and 2 were ported to Switch I would be willing to get back into them and play them both. @FX102A That exact same thing happened to me. It is frustrating. I loved Bravely Default and Bravely Second. I had no idea it was so popular, though. Obviously, I dont really keep up with sales ... does anyone know the sales figures for both games? @ricklongo Yeah, BD1 with the whole repetition thing was infamous, but reusing half the map for the second game as though the whole repetition thing wasn't enough was a little painful. I'd be okay with HD version releases before Square releases a new Bravely for Switch. Love the Bravery series but honestly, if it ain’t on Switch then I ain’t buying. @Kimyonaakuma I wouldn’t want to see ports of 3DS games cos that would make me want to buy the ”definitive” versions, even tho I don’t want to rebuy the Bravely games cos there’s nothing wrong with the ones we have on the 3DS.. I would like to have a brand new entry for the series. On the switch. I don’t think there’s no reason to ”HD-port” those 3DS games to the switch. They still play and look fantastic. I highly suspect an announcement for a third game, but I won't rule out ports for the previous two games either. @vitelus Go further back to the original Kain. Give us something like a Blood Omen remake and I am down. Great thing to read when I wake up. Please please please please please! And wait for Revo 😎. Also: no issue at all with the trilogy being finished on 3DS. Make the best decision based on the market/user base, sure, but it's a immediate first-second limited-edition pre-order either way from me. Such a great series. Would love to either get the first two bravely games or a new one on the switch. Still an port to the HD remasters of FF,KH or the newest titles from their up would be amazing. @Nincompoop no, it's Bravely Circle Circle Circle Circle Circle!